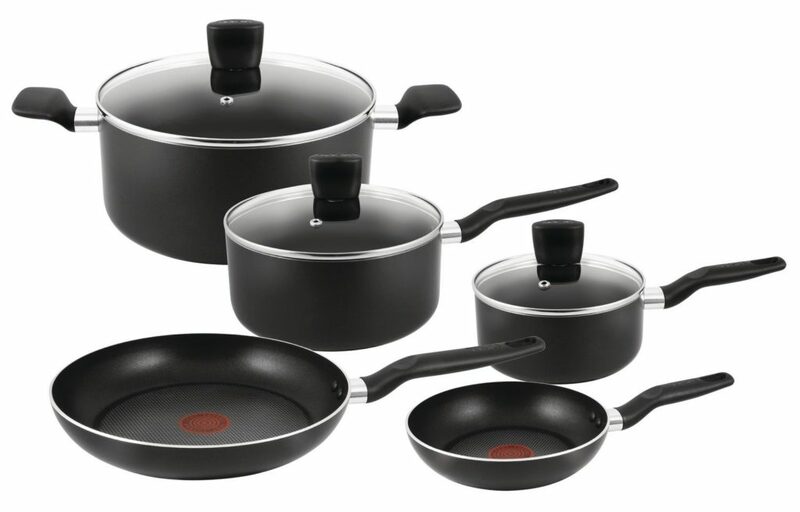 Home > Articles > How to choose the best cookware set? It doesn’t matter if you cook often or not, you probably need cookware to make scrambled eggs, prepare delicious morning coffee, smoothie or porridge. And if you love cooking delicious meals, you probably know that quality cookware can significantly change the cooking process. With the right pots and pans you can make flavorful cakes, lasagnas and other tricky recipes. Nowadays the market is full of cookware advertisement, and every brand says their products are the best. And every set features different pots and pans. Which ones are the best for you? Then you should know about the material and the quality of each item in the set. Understandably, it’s easy to get confused! There are simple tricks to help you find the best set. Why do you need a set? Even if you barely cook anything, you should have a small cookware set in your kitchen. It will be enough to cover all your needs. Even if you cook only for yourself and use one pan and once skillet, you might cook a dish for a party once a year. And if you have a big family, there are many vessels that can make your life much easier. 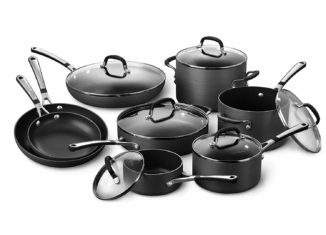 If you’re moving to a new place or just thinking about getting the new set of utensils, this is the perfect time to consider buying a cookware set. Even if you already have a cookware set, you may want to check the new ones because technology is constantly evolving and they are getting more and more convenient. I’m sure you will get inspired by new beautiful pans and pots. New cookware encourages you to spend more time in the kitchen and experiment with foods. Old cookware with damages isn’t safe to use because metal taste can transfer to foods. So, if you have scratches and cracks on the surface, it’s a great time to get a new cookware. This is almost always a good investment, but you should consider some features before buying one. You get the best value for your money if you buy a quality set that will serve you for many years. If you choose the vessels wisely, you will always have everything you need at hand. Even if you won’t use some pans and pots every day, you will be grateful you have it the day you need it. Most manufacturers make their sets to cover the most basic cooking techniques. Before you choose the perfect set, you should consider the number of items, the purpose of every item and the main material. Think about the cooking techniques you love and the number of people in your house. If you have very basic cooking needs, a set of 5 is enough. Other will benefits from sets of 15 or 18 items. 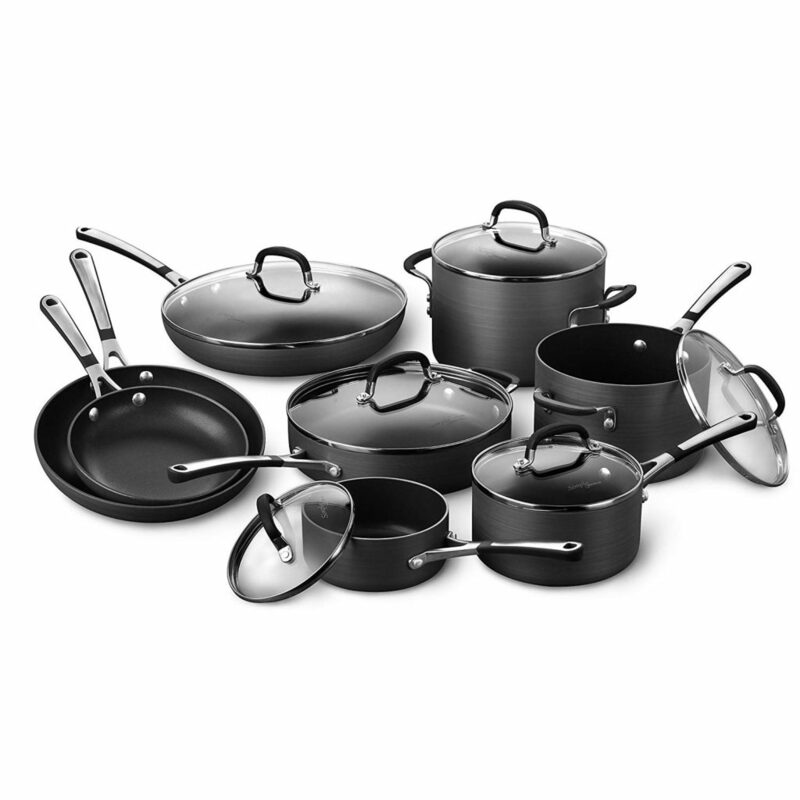 First and foremost, you need to get the most basic pans and pots in the most common size. It’s always cheaper to get cookware in a bundle, so check the available options before buying anything. Durability is important because all cookware loses their properties over time. Durable products will look perfect much longer. Stainless steel is the most durable material. Heat conductivity affects the cooking process. When you decide on the material, remember both durability and heat conductivity. Copper has good durability and conductivity, but it is nonstick properties aren’t the best. Finally, make sure the metal doesn’t react with foods during cooking. If you can taste metal, this cookware is not good for your health. For example, aluminum reacts with acidic products and is dangerous for your health. Choosing the perfect cookware may not be the easiest thing to do, but once you find the right one, you will be grateful for your efforts. Modern cookware serves you for years, they are very easy to cook and maintain.